ABC News is reporting that David Muir has secured the weekend anchor position. 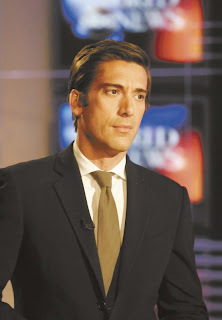 The news organization is even renaming the weekend broadcasts to World News with David Muir. WORK! With Billy (Hemmer), Tommy (Roberts), and Andy (Cooper) filling our work week with the day's events---- we like hot guys delivering our news to us (---Naked News much?). NOW, we can fill the hot guy weekend void with Davey!! !